In the tiny world of Shopkins, everything is highly detailed, colorful and fun to collect. 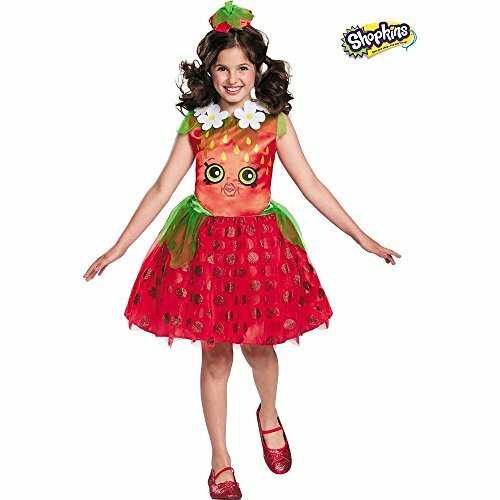 Some of the best Halloween costumes can be found in the Shopkins collection, including Cupcake Queen, Strawberry Kiss and Cheeky Chocolate. Your child won’t just wear the Shopkins costume for Halloween, but for many days after for creative playtimes and experiences. You can even have a Shopkins party for their friends and let them trade or collect those Shopkins they may not have. Just like the tiny Shopkins versions, the costumes are adorned to look very special with glittery and sparkling finishing touches. Your child can look exactly like her favorite Shopkins friends. The Cupcake Queen is satin and tulle (yellow and blue) with all the finishing touches of a sweet cupcake. It also comes with a topping headpiece. Cheeky Chocolate may be her favorite and this costume features glittery art, a tulle tutu-type skirt and a fun chocolate headpiece. 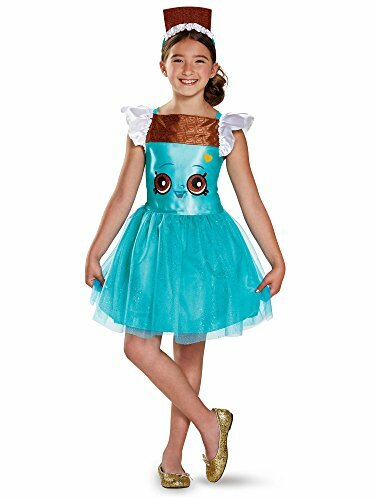 Kookie Cookie Shopkins is also a wise choice for Halloween or dress-up. It is also made of tulle and satin, with a kookie little headpiece to top it off. 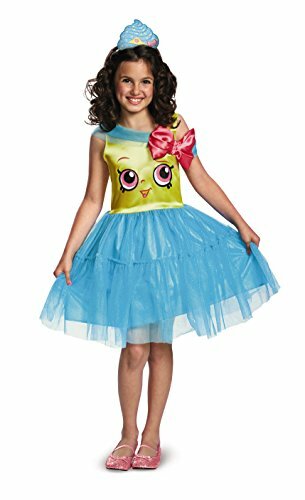 The Shopkins Apple Blossom costume is a favorite with its bright green tulle and satin dress with bows and a cute headpiece. Strawberry Kiss is another Shopkins favorite. It’s as red and ripe as a strawberry and trimmed with white and green. If your child might be the sassy type, the Shopkins Lippy Lips costume is made for her. Lippy Lips loves to gossip and shop. She sports a lipstick hat and glittery skirt – perfect for the Shopkins Runway Show. 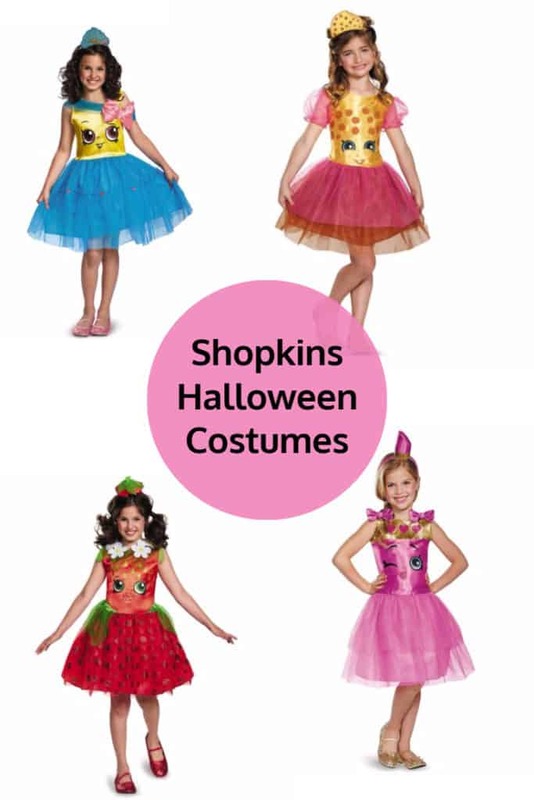 And, that’s just a smattering of the glamorous and fun Shopkins costumes you’ll find online for Halloween or play times. Shopkins has taken the collector’s world by storm and kids love to get together to swap and find the tiny items they may not have. Shopkins parties can be a world of fun for friends and fans and you can also find everything you need online to host an exciting soiree. 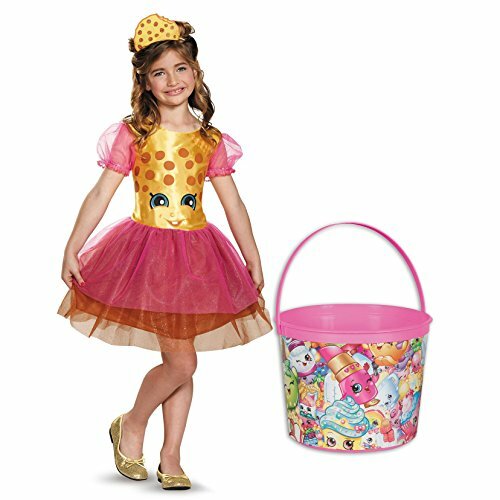 Shopkins costumes are designed with fun in mind, with glitzy and glamorous material and accessories to pique a child’s imagination. 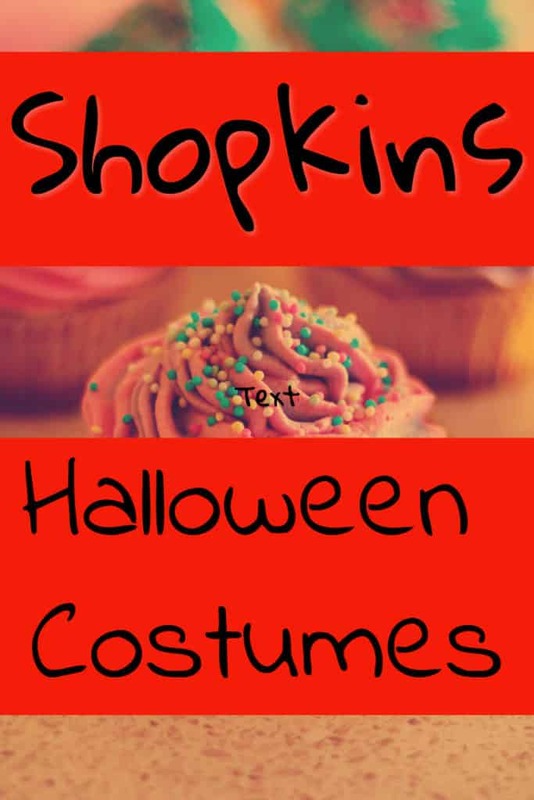 Have fun with Shopkins costumes on Halloween or anytime and collect a variety to play with every day. 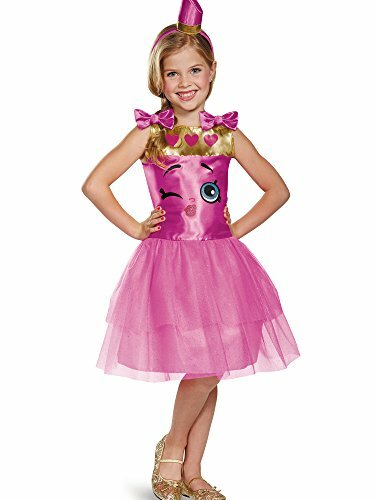 Online shopping is perfect for getting the exact Shopkins costume you want. There’s a huge selection in sizes, types and looks – and in many cases – for free shipping – on the items you choose.